'The V-6 engine that we first started building has become more complex with the introduction of direct fuel injection, a technology that was in its infancy when we first started,' Oatridge said. Meanwhile, in the past three years, the plant's workforce has executed four new model changes, an unprecedented schedule among Honda plants. 'So, with all those new models, along with new technology and advanced safety features, we have seen the skills to develop, build and test our vehicles become just as advanced. And that's why our engineering requirements have continued to expand,' Oatridge said. 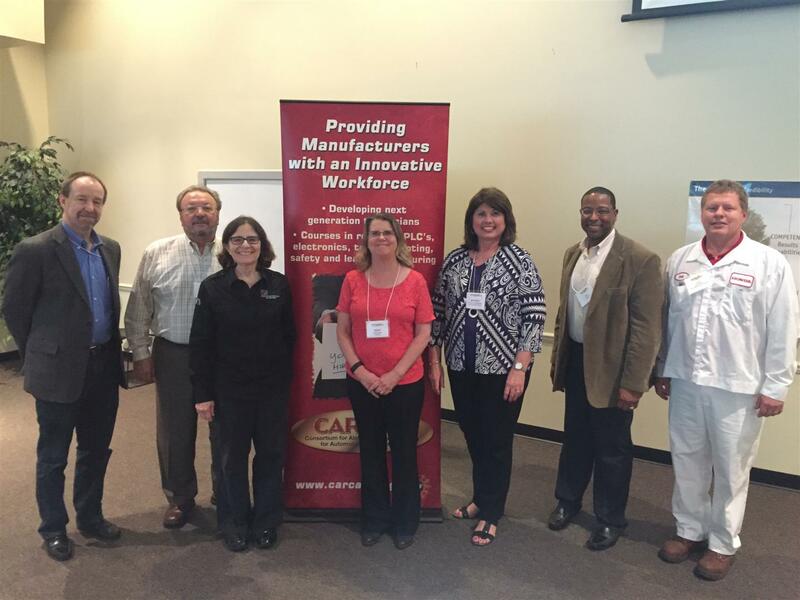 CARCAM held its annual National Visiting Committee (NVC) Meetings on April 14-15 in the AIDT Honda Training Center at Honda Manufacturing Alabama, Lincoln, AL. The meeting was comprised of educators, industry leaders, manufacturing organization members and NVC members from across the state and nation. Grant goals and activities as well as industry partnership projects were discussed. Ten partner college faculty members provided brief presentations highlighting their successful projects from 2015 that provided the NVC insight into their technical programs and methods utilized to educate multi-skilled technicians for the future. Students spoke from Gadsden State and Central Alabama community colleges as well as a dual enrollment student from Wallace State-Hanceville and the REHAU Academy in Cullman, AL. The students were able to share the technical skills developed while in school as well as how they have applied these skills in their current apprenticeships or co-op programs. The agenda included a tour of Honda’s newest addition to their facility, the second engine production line. The meeting was concluded with discussion on CARCAM’s future focus. RESEARCH TRIANGLE PARK, NC – February 19, 2016. Supply & Demand Chain Executive, the executive’s user manual for successful supply and demand chain transformation, recently announced its 16th annual Pros to Know winners. Included in the winner circle is Director of Engineering, Sales and Marketing at BLG Logistics (BLG), Maike Sievers. 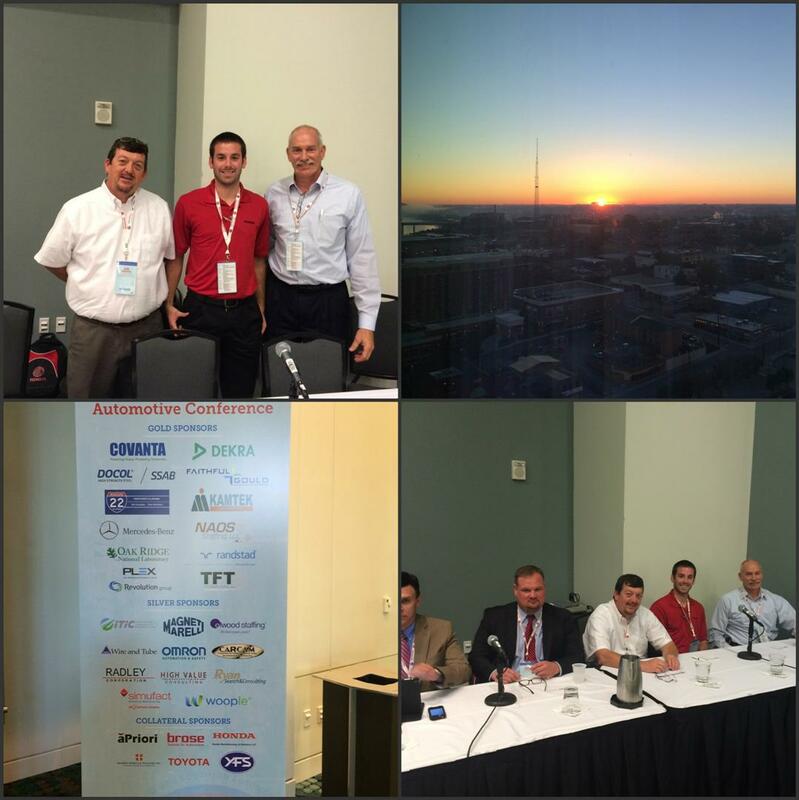 CARCAM joined over 1,000 industry leaders and educators gathered in Nashville, TN on Oct. 18-20 from across the Southeast to discuss the fastest growing automotive manufacturing sector in the country at the 2015 Southern Automotive Conference, hosted by the Tennessee Automotive Manufacturers Association. During the two-day conference, OEM's and education leaders rolled up their sleeves to combat three growing concerns in the area; how to develop a more skilled workforce, improve operational excellence, and further process innovations. Educational leaders were able to showcase their latest efforts on how they are continuing to increase our region's competitive advantage by improving the skills taught as the foundation for the technical workforce. CARCAM participated in a panel session, Paving the Road to Automotive Careers, which brought together school superintendents, educators within the auto industry, and students who have successfully completed workforce training programs. The panel also included participants who explained how they are cultivating a robust automotive workforce and creating positive change within their communities. Panelists included: Joe Hendrix, AUT Chair - Wallace State Community College-Hanceville; Kevin Smith, Technical Training Manager - Nissan North America; and Mavon Copeland, Maintenance Technologist - Nissan North America. For more information on the conference, check out www.tennauto.org.